WASHINGTON (Sputnik) - US Department of State spokesperson Heather Nauert rejected Moscow’s accusations that the United States timed new sanctions against Russia to impact the upcoming presidential election in the country. "They make lots of wild assertions and I think that would be another one," Nauert said on Thursday when asked about Russia’s claims. Nauert noted that sanctions take a long time to put in place and added that the latest round has been prepared for months and was released when the US government was ready. Earlier on Thursday, The US Treasury Department announced sanctions earlier on Thursday against 19 Russian individuals and five entities, including Russia's Federal Security Service and the Main Intelligence Directorate (GRU) for their alleged roles related to the interference in the 2016 presidential campaign in the United States. 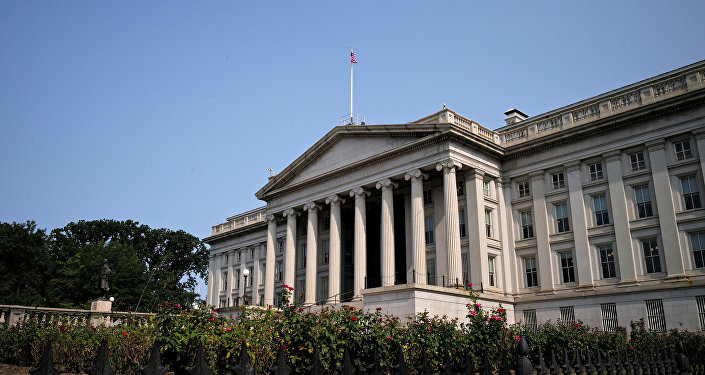 The Treasury Department said this action was intended to counter Russia’s continuing destabilizing activities, which range from interference in the 2016 US election to conducting destructive cyberattacks. Senior US national security officials told reporters that Thursday's announcement marked the first time sanctions have been issued under Countering America’s Adversaries Through Sanctions Act (CAATSA). The US Congress passed CAATSA last summer in response to allegations that Russia sought to influence the 2016 US presidential election and President Donald Trump signed the bill into law on August 2. Russia has repeatedly denied all allegations of meddling in the US election, calling the accusations absurd. However, Deputy Foreign Minister Sergey Ryabkov told Sputnik on Thursday that Washington deliberately has introduced new sanctions against Moscow on the eve the upcoming presidential elections in Russia, which will be held on March 18. "Of course, the moment was chosen specifically taking into account our [Russian] internal calendar. We, frankly speaking, thought that it would happen on Friday, March 16, rather than on on Thursday, the 15th. But apparently, impatience took priority in Washington," Ryabkov said, answering the question whether it is possible to link the timing of the US announcement of new sanctions against Moscow with the upcoming presidential elections in Russia on March 18.